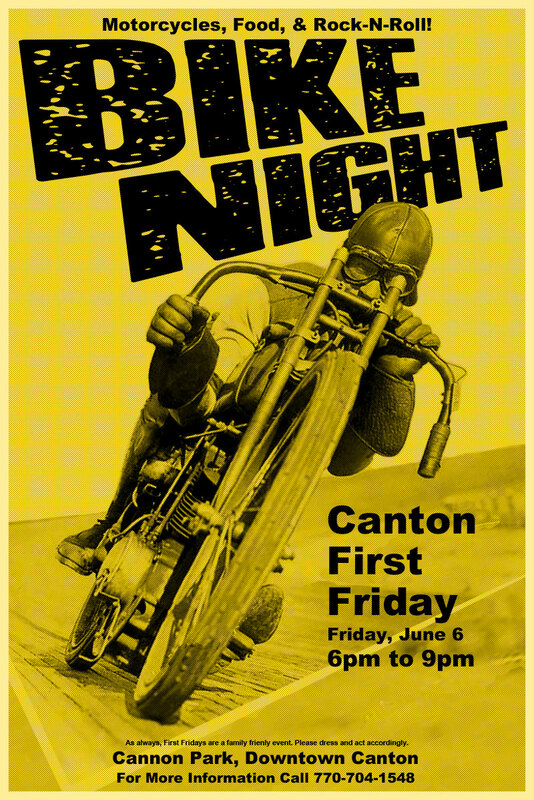 Downtown Canton’s June First Friday: Bike Night! Motorcycles, food, and rock and roll! 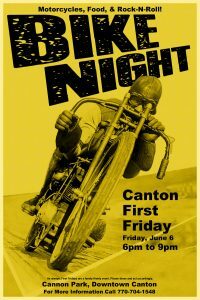 That’s what folks can expect when they attend downtown Canton’s First Friday event on June 6th. Featuring music by the No Sweat Band, the June First Friday event will have motorcycles from Killer Creek Harley Davidson, Cycle Creek and Champion Motorcycles on display. The First Friday events in downtown Canton offer shopping and plenty of food and drink options. And for the car lovers, there’s always a classic car show, displaying a wide variety of vehicles from different decades. 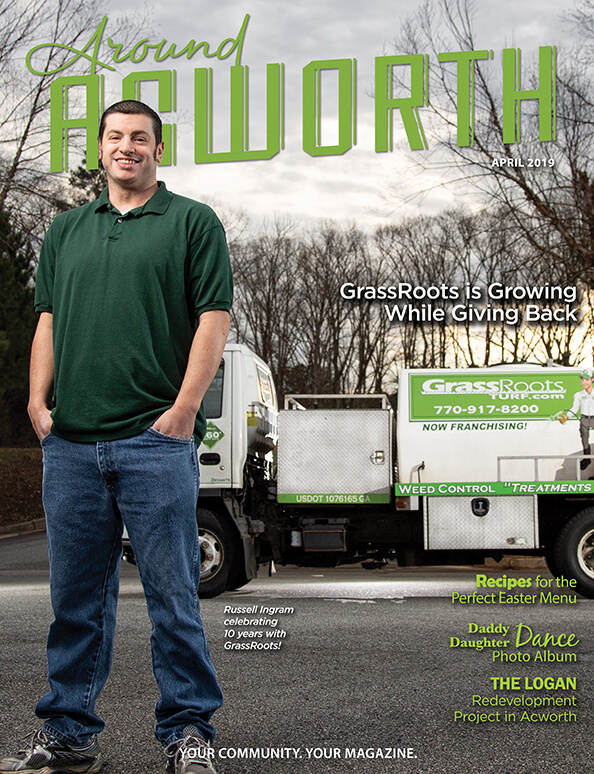 First Friday runs from 6-9pm, and guests are encouraged to bring lawn chairs and picnic blankets. 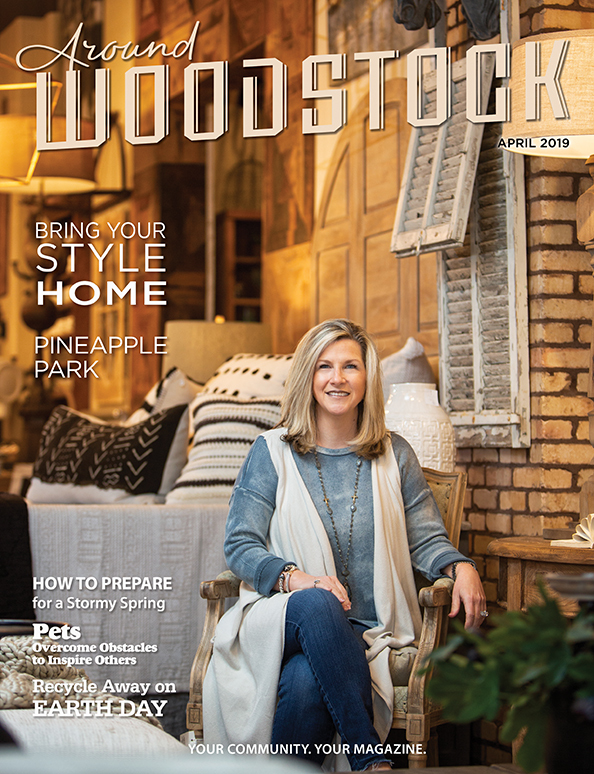 For more information on the First Friday event or to participate in the classic car show, please contact Meghan Griffin, Main Street Director at 770-704-1500.